Susanne Rieger is Co-President of the Green European Foundation. She has been responsible for European issues and European relations in the Catalan Green foundation Fundacio Nous Horitzons (FNH) for the past eight years. 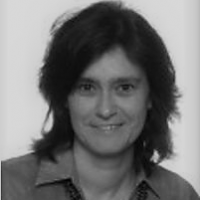 Since 2009, she is also member of the Board of FNH. She has been delegate to the GEF General Assembly since the founding of GEF. From a professional point of view, Susanne has been dealing with issues of political education, capacity building, political and public discussions and communication structures on the European level for the past twenty years. This spring, Barcelona has become, once again, the battleground for the radical soul of Europe. Mayor-Elect of Barcelona, Ada Colau lays out her vision; with comments from Susanne Rieger, President of the Green European Foundation.